Ever since the shrink local tabloid cashiered its estimable editorial cartoonist Jerry Holbert, the paper’s syndicated substitutes have left much to be desired. But today’s cartoon is flat-out dopey. 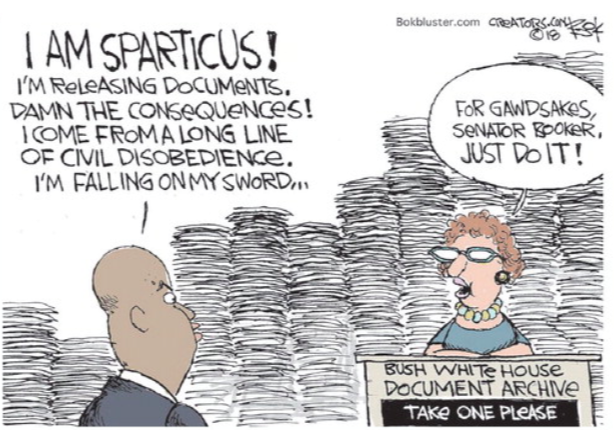 Memo to cartoonist Chip Bok: That was Cory Booker’s I Am Spartacus moment. Not to get technical about. Doesn’t count that you fixed it on your website.